Facing questions which appeared insensitive at times, given the disappointment Joaquim Rodriguez showed on the podium, both he and Spanish team-mate Alejandro Valverde had to defend themselves in terms of their tactics in the world road race championships on Sunday. The duo spoke to the press approximately an hour after the finish of the road race and were essentially asked how they had not managed to win the race. There were two of them in the final move of four, yet Portugal’s Rui Costa managed to outmanoeuvre Valverde and then bridge across to Joaquim Rodriguez, who had attacked a couple of kilometres earlier. He then beat him in the sprint to the line. “You did the race of your life today, but can you explain how it is possible that Spain didn’t win this title?,” said one writer to a despondent-looking Rodriguez. The question did nothing to lighten the mood after the climber had spent a substantial amount of time on the podium either on the verge of crying or actually in tears. “The race of my life would have been if I finished here winning. We can talk about a million of things but the only thing that counts is a win and I didn’t win today. 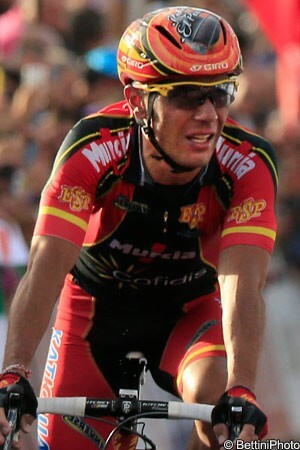 The race of the life in this case if for Rui Costa, not for me,” said Rodriguez. He had broken clear on the run-in to the finish and with Valverde and Vincenzo Nibali looking at each other and Rui Costa also behind with them, he seemed to be heading for the win. “The tactic was the one that we established at the start line this morning. For us the race was more or less like we wanted. In the last five kilometres we saw that we had to guys, me and Alejandro Valverde in the front group, we made the attacks. In the video below both Rodriguez and Valverde defend the way they rode the race, rejecting thoughts that they could have done things differently. The former explains what he said to Costa inside the final kilometre and what he was trying to achieve. Valverde explains the reason why he didn’t cover Costa’s attack, with that miss enabling the Portuguese rider to successfully bridge across to Rodriguez, a move which won him the gold medal. He also gives his thoughts in relation to the fact that this was his fifth world championship podium finish without actually winning the race, and dismisses suggestions that he might have let Costa win, a question that presumably was put him to as the duo are currently Movistar team-mates. Costa will depart at the end of the season, heading to the Lampre Merida team.